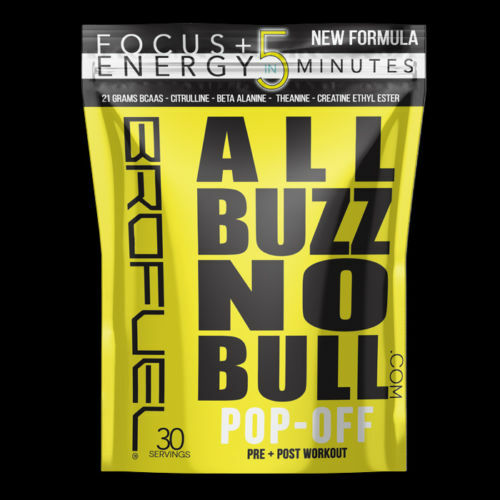 BROFUEL's® ALL BUZZ NO BULL™ PRE-WORKOUT ENERGY is what is needed to take your game and training to the next level. Extreme FOCUS ENDURANCE ENERGY Clean label and sports nutrition verified. 5.5g BCAA's to fuel your workout!